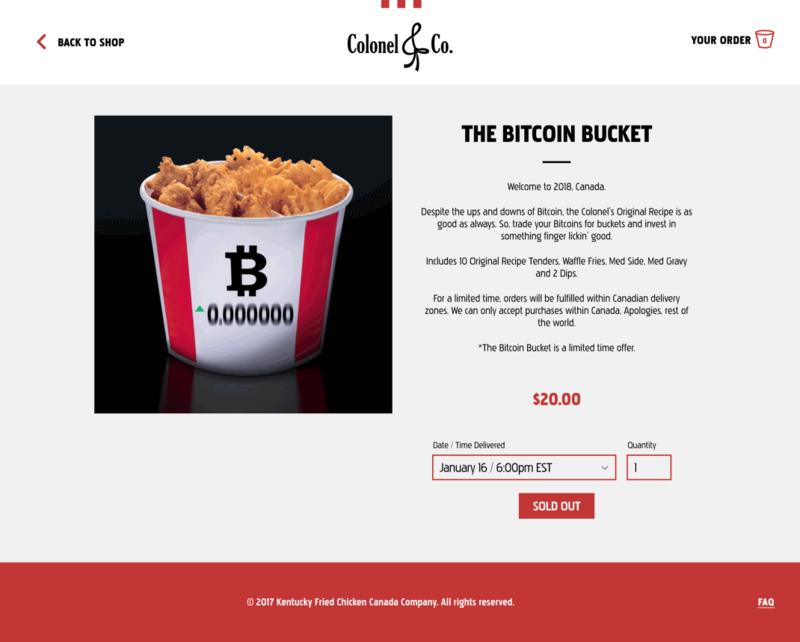 You’ve already invested in your future by buying Bitcoin, why not invest in a bucket of fried chicken next? This questionably worthwhile promotion from KFC Canada offers the chance to order a KFC combo for delivery with Bitcoin. The limited time deal includes 10 Original Recipe Tenders, waffle fries (yes, that’s a thing now! 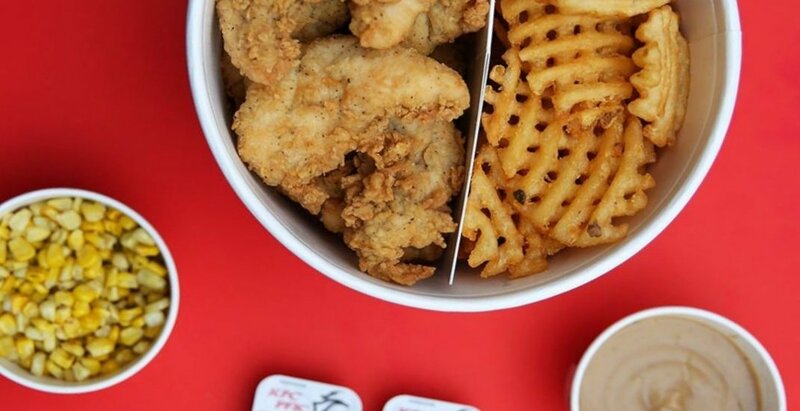 ), a choice of medium-size side, medium-size gravy, and 2 dips and “will be fulfilled within Canadian delivery zones,“ according to Colonel & Co., the official merch shop for the fried chicken chain. The meal deal costs $20, which (at time of publishing) was just $.0011535 in Bitcoin.